EFORT offers various training courses a European platform on which to present themselves and thereby reach a larger, multicultural target group. 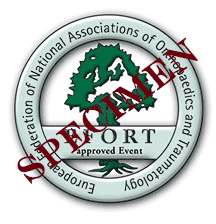 An “EFORT Approved Event” is a training programme that is structured according to special guidelines. EFORT Approved Event submission form.